Home › Electronics › Iphone 6 / 6S Case Tethys Ultra Series Iphone 6/6S Waterproof Case (4.7 Inch)..
Iphone 6 / 6S Case Tethys Ultra Series Iphone 6/6S Waterproof Case (4.7 Inch)..
[Compatible with Both iPhone 6 and iphone 6S] Protection from the Elements- the Ultra iPhone 6/6S waterproof case is made to go just about anywhere; with the ability to protect your iPhone from water, dirt, sand and snow. While most cases are tested to a depth of 6 ft, we went a little further and equipped our case to be able to descend to a depth of 8 ft! That is 25% deeper! Secure your iPhone - With an ultra-snug frame and added corner protection [IP68 Certified Ingress Protection Rating], the Tethys iPhone 6 Waterproof Case does more to keep your device plenty safe while still keeping a minimal form factor. The Tethys Ultra Case is only 0.6 of an inch thick. Easy Access - Fully compatible with the iPhone 6 6S TouchID function, speaker, headphone jack, buttons, sensors and cameras. Ultra-thin fit Tethys case for iPhone 6 6S. Not compatible with 30-pin to Lightning Adapters or the majority of non-Apple branded USB to Lightning cables. Lifetime Warranty - All Tethys Ultra Series iPhone Waterproof Case come with a LIFETIME warranty which safeguards against defects. We take pride in our workmanship and want you to know that we make every effort to make the perfect case for you and your favorite mobile device. Color: Black Notes: Compatible with iPhone 6 / iPhone 6S [4.7" Version]; Proper installation of a Tethys product is important to successful use so please review the installation video and check the user manual to ensure correct pre-waterproof test! Remove any currently installed screen protector on your phone before installation. 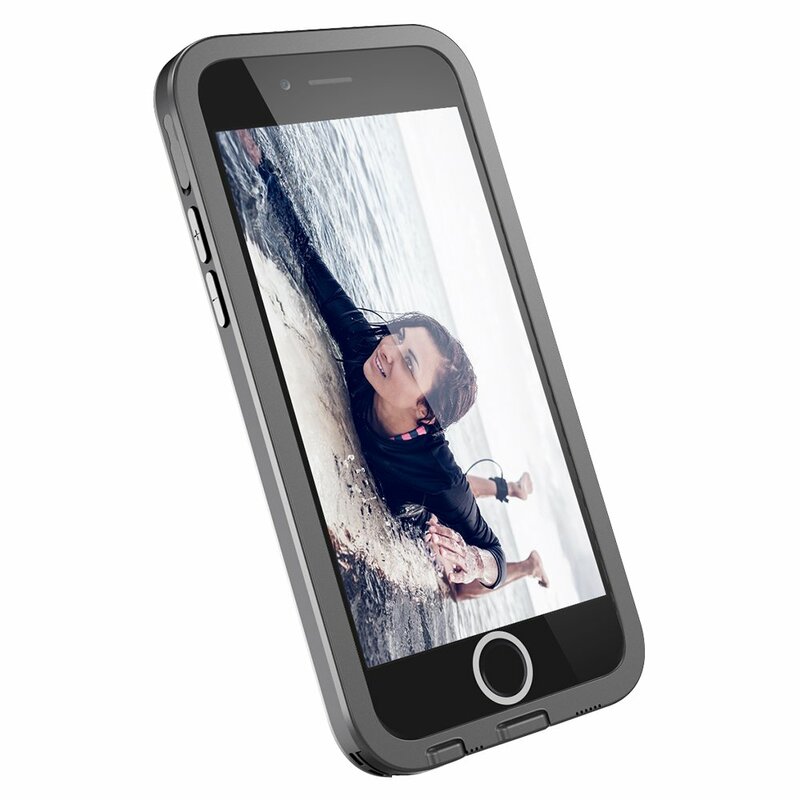 Meet the Tethys Ultra Series Waterproof Case For iPhone The _Tethys Ulta _ in complete protection for the iPhone 6 & iPhone 6S, theTethys is engineered to fully enhance your iPhone experience so you can seizethe day, anyday. Complete with 360 of added protection for durability, touch-through screen for easy usage, and an ultra-slim frame for portability, theTethys Case is designed to be more than just a case. Secure your iPhone With an ultra-snug frame and added corner protection [IP68 Certified IngressProtection Rating], the Tethys iPhone 6 waterproof case does more to keep yourdevice plenty safe while still keeping a minimal form factor. Interaction Approved, Convenient Our specialized scratch protector provides the maximum display resolution withno interference to touchscreen responsiveness as well as offering extra frontprotection. Easy Access Custom design keeps all your iPhone 6 6S bottons, ports and featuresaccessible - including the Touch ID. Only work with original Apple lightingcable and Apple headphone. Not compatible the majority of non-Apple brandedUSB to Lightning cables. Lifetime Warranty All Ultra series iPhone 6S Waterproof Case comes with a LIFETIME warrantywhich safeguards against defects. We take pride in our workmanship and we makeevery effort to make the perfect case for you and your mobile device. Since the case is designed to maximize waterproof protection, if necessary,use a credit card (or a similarly flat object) to toggle the ring/silentswitch or manual turn on/off under iPhone setting.